Budapest 7th distr. Hársfa u.24. 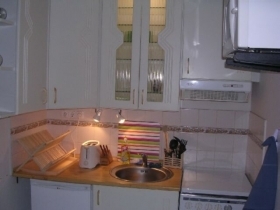 The ACH-Jasmine apartment is a recently renovated tourist apartment (studio) which can comfortably accommodate 3 people (or a maximum 4 people if it's a family with two children). There are two twin beds upstairs on the gallery and one sofa which can be open as a queen size double bed. Our cosy studio is a convenient place to stay for those who are seeking for budget but still high quality accommodation in the heart of Budapest. We believe that our prices can compete with the youth hostel's tariff while regarding the quality, service and hospitality we would like to compete with 3* hotels. We can help to arrange tours, programmes, bus and train tickets and we provide a wide scale of further tourist information. Ach-Jasmine Apartment is situated in the downtown of Budapest off the Grand Boulevard's "Erzsébet körút" section, next to the corner of Hársfa street and Barcsay utca. 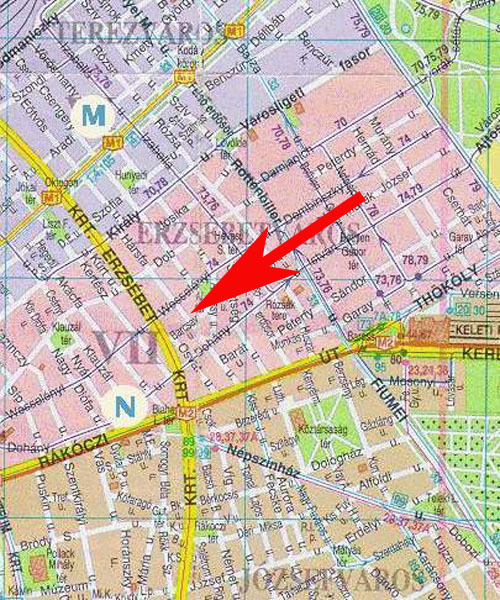 The nearest tram stop ("Wesselényi utca"-tram #4 or#6) is just 2 minutes walk from the studio. 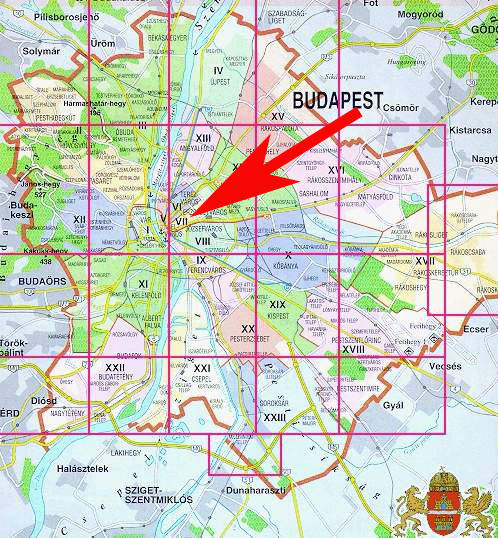 The nearest Metro station ("Blaha Lujza Tér" line #2) is 5 minutes walk or one stop by the above mentioned tram. In the lively Erzséber körút (Grand Boulevard) you can find plenty of shopping-, banking-, dining and entertainment facilities within a 2 minutes walking distance.